How can you get experience without a job? My son has finished school and has been looking for work for over a month now, but they all say the same thing – they want someone with experience. He’s getting really down and it’s becoming hard to get him out of bed and up and trying to look for something. How can he get experience if he doesn’t have a job? I’m lost for what I can say to him and he’s starting to give up. We can understand that your son is feeling down – it’s hard to be told when you’re looking for an entry level job that you need experience, and it’s tough for you to motivate someone who keeps getting knocked back. On the other hand, employers are looking for someone they know can turn up on time and communicate, and for them previous experience is a good indicator of the types of employability skills that job applicants have. Employees must have strong literacy, language and numeracy skills and increasingly need skills of communication, co-operation, computation, computer mastery, creativity and critical thinking. Peter Townsend, Canterbury Employers’ Chamber of Commerce. The good news is that there are many simple, everyday ways to get the kind of experience employers like to see on a CV. Get involved with your community. They may groan when you make them peel all those potatoes on the marae or fundraise for school, but it's this kind of community involvement that sparks interest from employers. Helping out shows employers your child can be relied on by others to get things done. Join a group. Playing a sport, being in a band or part of a gamer group develops passion and motivation, and showcases to employers that your child is a true team player. Enter school competitions. School competitions, such as the Young Enterprise Scheme, develop thinking and resilience skills – experience that employers are excited to see on a CV. Go for Gateway. Gateway work experience while still at school will make their willingness to learn skills shine. Ask your school's career adviser. Become an intern or cadet. Working for free has its perks – experience on a CV, a willing referee, and proof of a positive and motivated attitude. Do a work trial. Asking an employer to try your child out for 90 days or less is a good way to earn money, and prove their worth. Train with Youth Guarantee. Train towards a career, develop self-management and communication skills and get work experience while still studying NCEA Level 2. Ask your child's school how it works. Ask your friends. Friends with businesses? Whether it's babysitting or part-time work, it's experience that will put your child's CV on the top of the pile. Work shadow. Following an employer as they work doesn't seem like much, but it shows your child is clued into what working life is all about. Chat to your school's career adviser about work shadow events run by your local tertiary institution, such as the AUT Shadow a Leader programme. Try Work Inspiration. Taking part in authentic work activities through Work Inspiration, run by Careers New Zealand, gives your child a job-seeking head start. 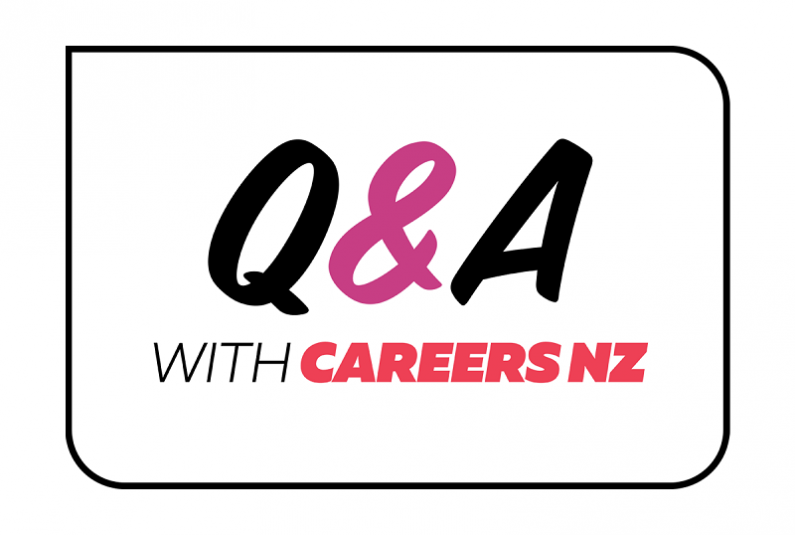 Our Q & A series of career advice and tips answers common questions parents have about their child's work and learning choices. If you have your own questions you want to ask, you can web chat, call or email us. We’d love to hear from you.